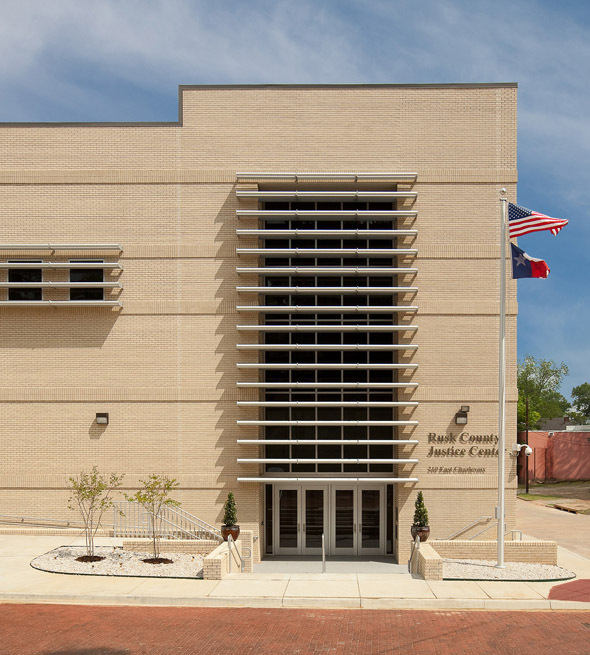 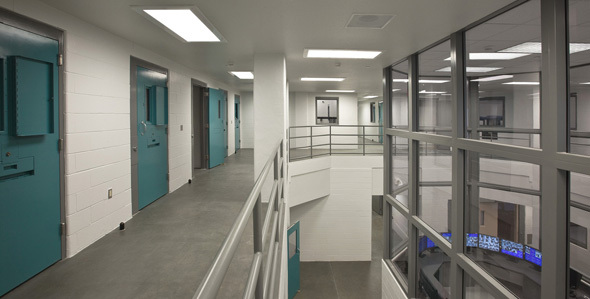 The Rusk County Justice Center, in downtown Henderson, Texas, is a new three story addition to the existing jail which was also renovated. 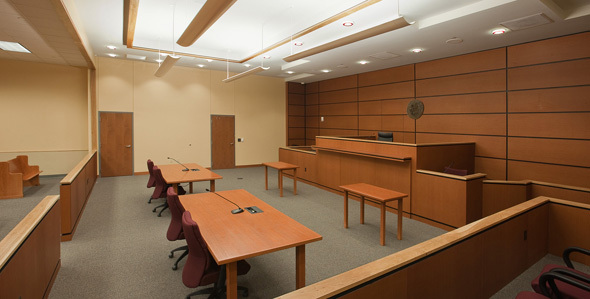 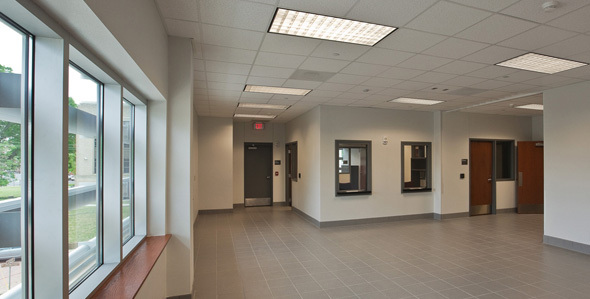 The design provides space for county offices, a new courtroom with secure access, and increases jail capacity from 96 to 291 beds. 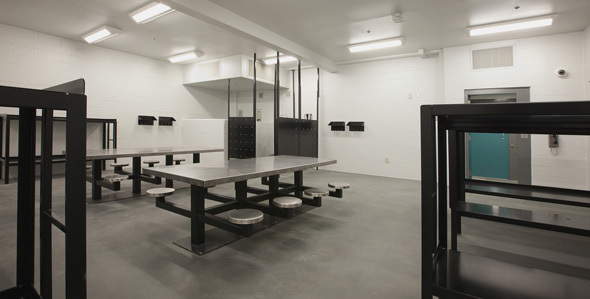 Richard Holloway was project architect and Linda Ollar was specifications writer for this project while both were employed by Johnson/McKibben Architects. 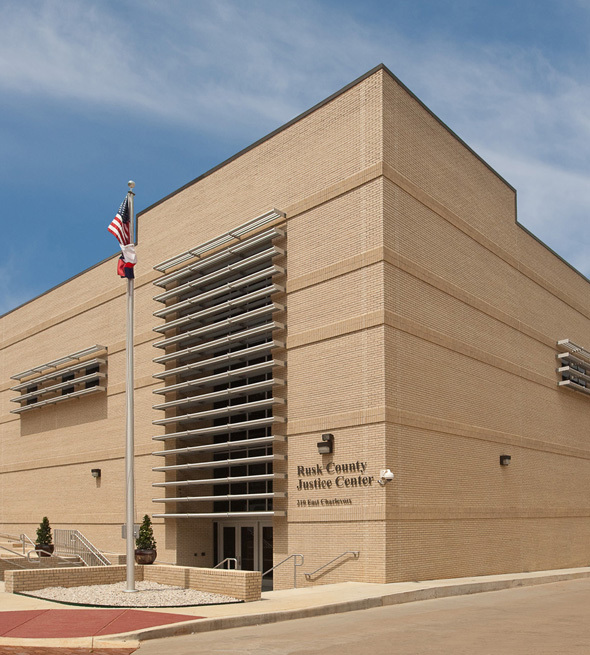 Johnson McKibben Architects, Inc. was the architect of record.